Cryptocurrencies backed by natural resources would be more trusted than ones backed by banks, Alexander Borodich, the founder of the Universa block-platform and a venture capital investor, has suggested at the Third Eastern Economic Forum (EEF) in Vladivostok. Borodich said that as a country rich in natural resources, Russia is able to convert electricity to cryptocurrencies through mining, thus generating as much cryptocurrencies as possible to trade with on the market. 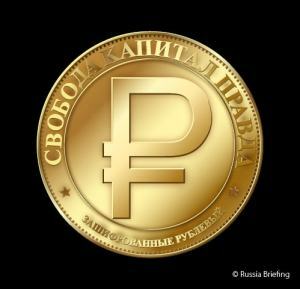 “With the status of cryptocurrencies in Russia not yet clear even to the government, there are certainly some projects that are more or less related to cryptocurrency. Several mining companies have presented their solutions on mining cryptocurrencies. Actually, they are more about mining than cryptocurrencies,” he noted. When asked how soon such a common cryptocurrency was expected to appear, if at all, Alexander Borodich said that this could be the first and only cryptocurrency backed by natural resources and, as such, it could be extremely successful. There were other proposals put forward by the United Bank of Switzerland and supported by six major banks. When asked how popular the bank-sponsored currency idea is among ordinary customers, Borodich said that what the banks actually mean is an industrial blockchain based on Etherium. “As for cryptocurrencies backed by banks, it would be extremely useful to use cryptocurrencies as a payment method, which allows them to instantly send payments from one country to another. However, as a matter of trust, it would be fairer if a currency is backed by natural resources, not by a bank, even a Swiss bank.” he elaborated. There is concern in countries, such as Russia about the actual strength of the US dollar and whether the US Treasury actually possesses the Gold Reserves it says it does to support US debt. “It is something new. What is not clear, however, is what this currency really is all about, how we can use it in accounting, how we can apply taxation to cryptocurrency operations. So I think that we are going to see more regulation on this later on when the central banks decide how to operate them,” Borodich said. “We want to push governments into an absolutely new dimension in this blockchain world, into applicable industrial applications of blockchains without mining. As a result, it might be possible to run thousands of transactions and launch real-world applications both for governments and corporations”.